If you have always desired to have floors that are durable, strong, looks amazingly great and are easy to maintain, epoxy flooring is what you are looking for. Epoxy flooring is fast becoming a popular flooring option for commercial and industrial establishments as well as homes in Dallas, Texas. You may have heard of epoxy flooring but are not quite familiar of what it really is. Simply, epoxy flooring is a flooring option that consists of several layers of two millimeters deep of epoxy material applied on a concrete surface. Any epoxy material applied that is less than two millimeters deep is an epoxy coating and not epoxy flooring. Epoxy is a flooring system that is made up of resins and hardeners. When both materials are combined, a chemical reaction occurs to create a strong and rigid plastic-like material that bond extremely well with the concrete surface. Dallas Epoxy Pros will gladly handle all your needs related to epoxy! Why is Epoxy Flooring Popular? Many business establishment owners as well as homeowners in Dallas, Texas are opting for epoxy flooring because of its many advantages as compared to other coatings that may be applied to a concrete surface. Epoxy flooring creates a high gloss and shiny finish which can increase the brightness in an area by as much as 200%. Epoxy flooring is easy and quick to install. 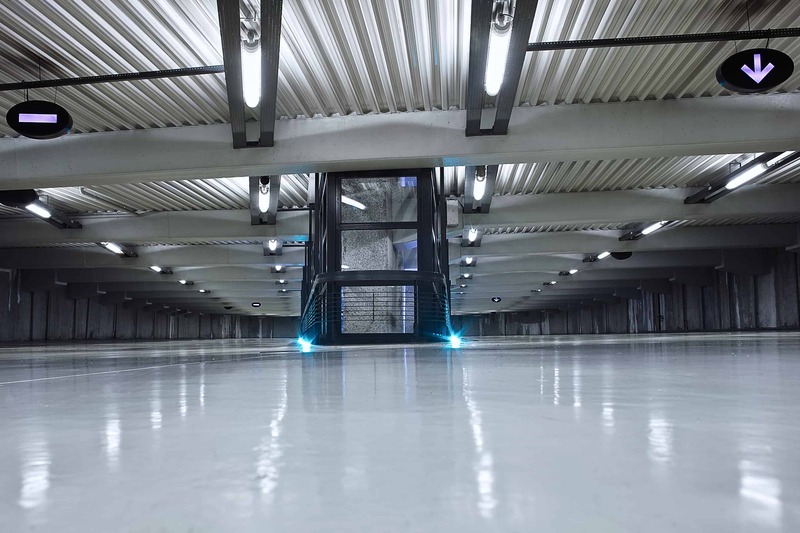 Epoxy flooring offers a durable and hard wearing flooring system that can withstand high foot traffic. Epoxy flooring is resistant to water beads and oil stains and requires only a simple spot cleaning to maintain a seamless surface. When combined with colors and paints, epoxy can cover cracks and chips on the concrete surface. Epoxy creates a slip, fire and heat resistant concrete surface. Epoxy extends the lifespan of the concrete surface by preventing fast wear and tear. Epoxy can be used to create different patterns on the concrete surface. Epoxy allows a concrete surface to be chemically resistant making it ideal for warehouses and manufacturing plants. 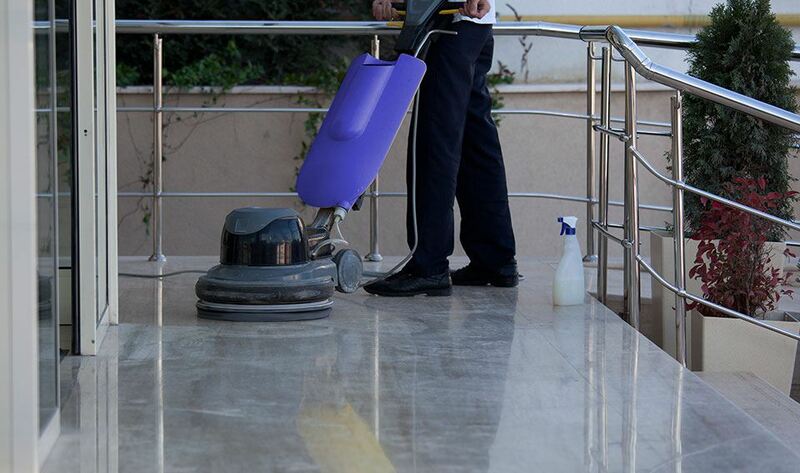 Epoxy flooring is easy to clean and epoxy flooring installation is relatively straightforward. Epoxy floors are an environment friendly flooring system. When applied the proper way, epoxy flooring can last for several long years. Epoxy floors require little maintenance. Finding a flooring solution that can withstand chemical spills, water spills, grease as well as being stain resistant while providing a high gloss finish that is aesthetically appealing can be tough. Epoxy flooring in Dallas, Texas can provide all these benefits plus more. Epoxy flooring comes with a high gloss finish that provides an enticing appearance. Epoxy flooring when installed the proper way will outlast all other flooring systems available in the market. Concrete contractors believe is the only material that is more durable than epoxy but concrete. Epoxy is installed over concrete so it makes concrete even more durable. We are also considered by many and few to be experts when it comes to concrete grinding. 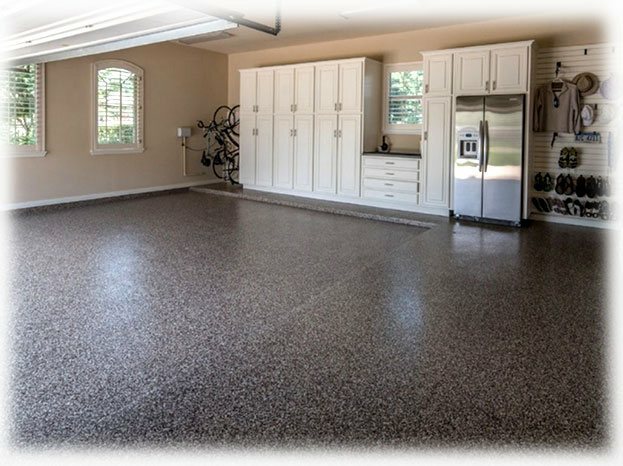 Epoxy flooring is highly resistant to gas, oil, transmission fluid, water stains, chemical spills as well as germs and bacteria making it a flooring solution of choice for home garages as well as business establishments, industrial plants, clinics and hospitals. Epoxy protects the concrete surface beneath from moisture, chips and cracks. Epoxy flooring makes an area brighter by reflecting light reducing the need for artificial lighting. Epoxy is a versatile material. It is available in a wide range of colors and textures to create a smooth, flawless and elegant high gloss finish. 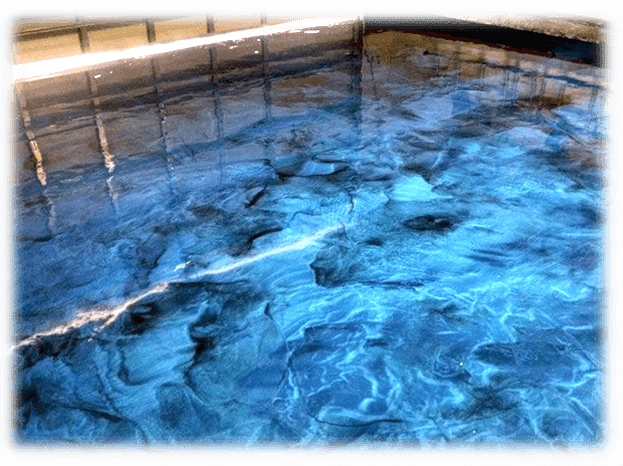 To enjoy all the benefits of a Dallas epoxy flooring the concrete surface needs to be properly prepared and cleaned to allow the epoxy material to properly adhere to the concrete surface. Repairs and patchwork need to be done on all major chips and cracks to ensure the epoxy material is installed on a smooth and even concrete surface. Self-dispersing with quartz sand. This epoxy floor comes with an anti-slip feature. Self-dispersing. This is an extremely strong epoxy floor usually used in high traffic spaces. Graveled floor. This type of epoxy floor is the most decorative. Mortar floor. This type of epoxy floor is the strongest of all types of epoxy floors. Terrazzo floor. This type of epoxy floor is extremely decorative and is ideal for large spaces. Anti-static floor. This type of epoxy floor is often used in sensitive areas where static should never be in the environment. Flaked floor. This type of epoxy floor is sprinkled with flakes (available in different colors) or colored chips to create a unique design. The roughness of the flakes adds anti-slip features to the epoxy floor. Epoxy is a versatile flooring material. It is one of the best flooring solutions for almost all types of flooring applications, even in the home. If you are thinking of installing epoxy flooring in your Dallas, Texas business space or home, here are some things you need to know. Epoxy flooring is different from an epoxy coating. Epoxy flooring is at least 2mm thick. Anything less than 2mm thick is only an epoxy coating. Epoxy flooring provides an additional structural support to the concrete surface while an epoxy coating just adds a protective layer. Proper preparation of the concrete surface is one of the most important steps in epoxy flooring installation. An installation failure is bound to happen when the concrete surface is not properly prepared prior to installation because the epoxy material may not properly adhere to the concrete surface. The main culprit in an installation failure is often due to the presence of moisture in the concrete surface. The epoxy material is a result of a chemical reaction between resins and hardeners. These materials bond with each other and with the concrete surface to create a durable flooring system that will not chip or crack as long as concrete is properly prepared prior to installation. Epoxy flooring in Dallas is available in variety of colors, shades and effects. Your imagination is the only limit to what you can do with epoxy flooring. Quartz can be embedded to create a unique design. Non-slip layers can also be added to make the floor safer. Epoxy flooring is easy and quick to install especially when done by professional Dallas epoxy contractors. It sets and hardens quickly, too. Epoxy flooring though needs to be allowed to cure for between at least 24 hours before foot traffic is allowed. It is important to note that epoxy flooring is installed when temperature is over 60 °F so as not to encounter curing problems. Epoxy flooring is best installed by professional Dallas contractors. Doing so will help prevent costly errors such as the epoxy material not properly bonding with the concrete surface. It’s recommended to polish your concrete floors We will be glad to help you polish your residential or commercial property ! They will properly prepare the concrete surface to make sure the epoxy material will properly adhere to the concrete surface. They have the right equipment, training, expertise and experience to prepare the concrete surface and install the epoxy flooring. They use the right products to ensure your epoxy flooring will last a lifetime and also so you can enjoy all the benefits of epoxy flooring solution. They know the right way to mix the resins and hardeners to come up with a durable epoxy material. They know how to detect and deal with moisture so it does not interfere with the epoxy material’s ability to adhere to the concrete surface. When you choose to install epoxy flooring, it is always best to have professional Dallas epoxy flooring installers do the job.